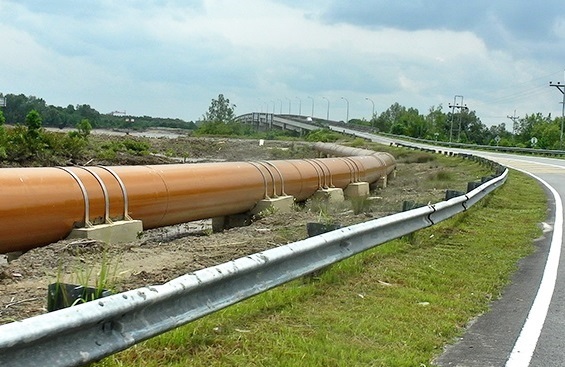 The Tanjung Manis Water pipeline in Sarawak is being questioned by the DAP. A report has since been lodged with the Malaysia Anti Corruption Commission. 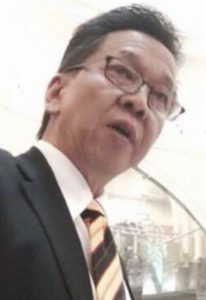 SIBU: Sarawak DAP vice-chairman David Wong Kee Woan Monday lodged a report with the Malaysian Anti-Corruption Commission on alleged irregularities involving RM850,989,967.70 in relation to the Tanjung Manis water pipeline project. Met by newsmen prior to making the report at the MACC office at Wisma Persekutuan here, Wong said he is making the report based on the answers given by the Sarawak Minister for Utilities on the question he asked in the State Assembly sitting from July 9 to 18. 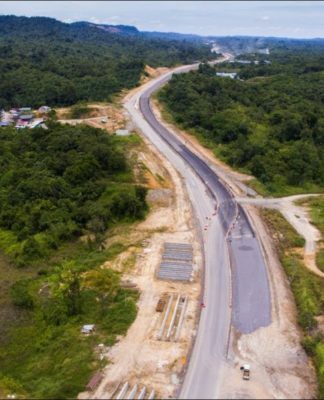 “According to the answers given to me by the Sarawak Ministry for Utilities, the irregularities appear to make the whole project a white elephant (project), meaning it is unusable and a failed project and a waste of taxpayers’ money,” he said. 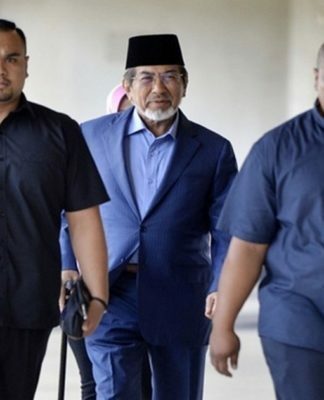 Wong, who is the Pelawan state assemblyman, was accompanied to the MACC office by Bukit Assek assemblyman Irene Chang, Pujut assemblyman Dr Ting Tiong Choon and several party members. He said the whole project, to be implemented in eight packages, has been awarded to eight different contractors without open tender but through direct negotiation, which he claimed may have cost the state government additional tens of millions of ringgit of taxpayers’ money. “According to the Sarawak Ministry for Utilities, the reason for not calling for open tender was purely ‘in view of the urgency to complete the project so as to meet the expected water demand of the halal hub in Tanjung Manis’. “However, there is already a two-year delay in the project’s delivery,” said Wong. 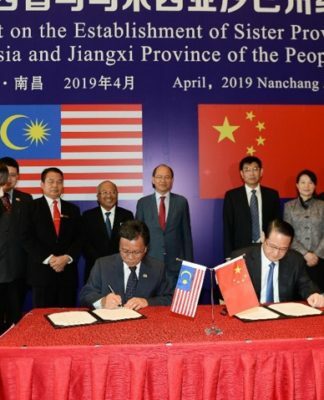 The delay of the project has affected the halal hub in Tanjung Manis in which the Sarawak government has invested up to RM1.14 billion, he claimed. The second to eighth packages were physically completed around 2016 but the overall testing and commissioning of the completed works have yet to be carried out due to the problem with the first package of the project. “Because of that, we don’t even know whether Package No. 2 to Package No. 8 is problem-free. 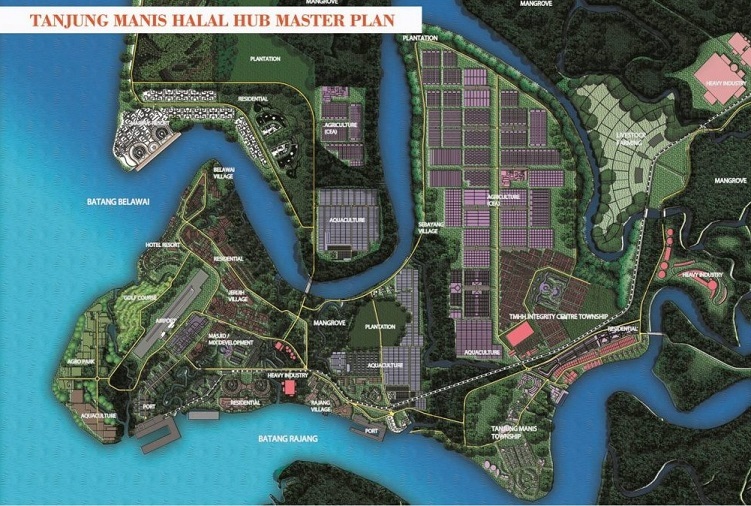 The Tanjung Manis Halal hub. “If there were feasibility studies or the feasibility studies had been conducted and the Ministry for Utilities had taken them seriously, the project would not be deemed feasible and hundreds of millions of ringgit would not be wasted on the project,” said Wong. The MACC report was also lodged based on a news report where Sarawak Public Accounts Committee (PAC) chairman Aidel Lariwoo said on Oct 18 that the committee can only hold a public hearing over “the failed” package of the first phase of the Tanjung Manis water supply project after getting the direction from the State Legislative Assembly. “The committee, which is supposed to be independent, has the power to call for a public hearing and the refusal of the PAC to do it seems to indicate this issue is too big and sensitive politically for the Sarawak state government,” said Wong. 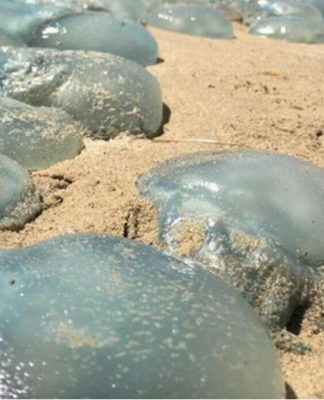 He said the 2017 Auditor-General’s Report stated that the project did not achieve its intended target of supplying piped water to the people of Tanjung Manis and the Tanjung Manis Halal Hub. 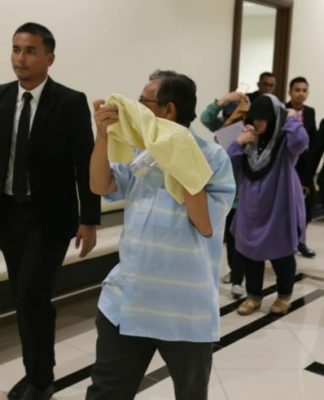 Apart from being not on time, the project was not in accordance with the specifications spelled out in the work agreement and the procurement of pipes worth RM12.02 million have exceeded the actual amount needed, he added. “It is my duty and responsibility as the elected ADUN (assemblyman) of Sarawak to lodge an official report to protect the interest of Sarawakians to get the best returns of the huge investment in the Tanjung Manis water supply project as well as the Tanjung Manis Halal Hub project,” he added.